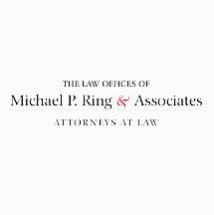 Michael P. Ring & Associates is a successful law firm serving the nation from law offices in Santa Barbara, California. We practice law the old fashioned way; by putting the client first. Our attorneys and support staff understand the importance of staying in frequent communication with our clients, and we are always willing to provide up-to-the-minute information on the status of our clients' legal matters. Our lawyers offer clients quality legal representation based on more than 50 combined years of practice investigating and preparing cases to be tried in all venues. We have appeared before tribunals in state and federal trial courts, arbitration panels and before administrative law judges including the National Association of Securities Dealers (NASD), the New York Stock Exchange (NYSE), the Pacific Stock Exchange (PSE), and various other exchanges. We have represented our clients not only in trial courts, but have presented briefs and argued their cases to the appellate courts within the state of California and within the federal court system. Some of our published decisions are listed below. Because of our past results, we have achieved a reputation that has lead us to take many cases from other lawyers who have started a matter only to find the case a little more complicated or difficult than usual. Our clients have been on both sides of the issues, as we have found ourselves representing not only employees from many industries, but also both small and large companies in everything from drafting buy-sell agreements and to wrongful discharge litigation and other employment law matters.